Should you go gluten-free with your beauty products? It is estimated that 3 million Americans have celiac disease. Another 18 million Americans are sensitive to gluten. More and more personal care products are cropping up with the label "gluten-free." Is this out of necessity or is it another marketing gimmick? Let's take a look. Is 'gluten-free' just another fad? I know that for many, “gluten free” is just a trend. Many try going sugar-free, paleo or gluten-free because everyone else seems do be doing it. For so many people, though, avoiding gluten can greatly improve their quality of life. I know that eliminating gluten was one of the best things that has happened to me. While I do not have celiac, when I eat gluten, I feel horrible -- headaches, bloating, etc. If you are sensitive to or allergic to gluten, you should definitely consider avoiding beauty and skin care products formulated with gluten. If you are allergic to gluten, exposure to even the smallest gluten molecules can trigger a reaction. The greatest cause for concern is with lip products. If you apply lip balm, lipstick or lip gloss with gluten, the offending ingredient can be ingested. Of course, one doesn't eat lip products intentionally, but small amounts can be ingested throughout the day. Does this also carry over to skin care ingredients? This is a hot button subject in the medical community. What do medical experts say about gluten-free personal care products? 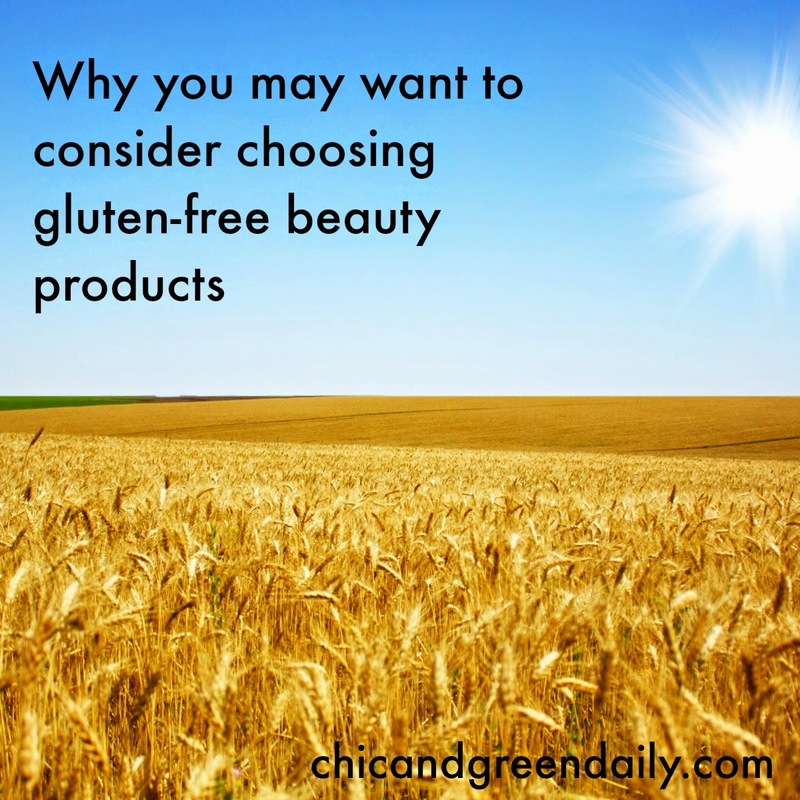 The medical field has differing opinions on whether you should avoid gluten in your personal care products. "Gluten-containing skin care products and cosmetics aren't a problem unless you accidentally swallow them," says gastroenterologist Dr. Michael Picco of the Mayo Clinic. "Many doctors say that gluten in skincare should not be a concern unless it is swallowed, but many patients report otherwise... Fortunately, many skincare and cosmetic companies are jumping on the gluten-free bandwagon, so you can easily swap out your current products for gluten-free alternatives. As the awareness about gluten grows, companies that offer gluten-free products are proud to label their offerings as such. To mirror all other skincare decisions, start reading your labels and choose accordingly." There are many brands offering gluten-free personal care products. I'm going to share some of my favorites. Body skin care and lip health products from (seed) Body Care are all free of gluten. Red Apple Lipstick is gluten-free, as is Lavera. Skin lost its glow? Try yoga.